The New York Public Library’s Map Warper is a free online crowdsourcing tool that enables librarians and the general public to align digital images of historical maps with today’s map through a process called georectification, or “warping” maps. As part of NYPL’s ongoing commitment to creating new publicly available resources and building new platforms for historical research, the Library has set out to warp over 4,000 maps! 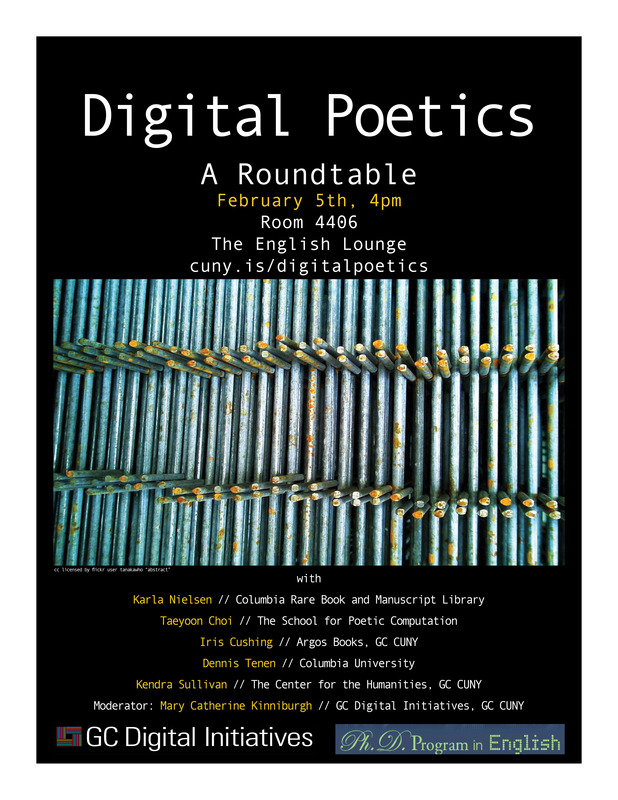 This panel will place in conversation an array of scholars, artists, poets, and archivists from the New York City area to discuss the intersection between the poetic and the digital in contemporary creative and critical practice. 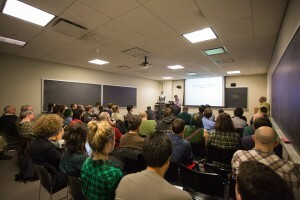 We will discuss digital approaches to poetic composition, poetic approaches to digital work, archival considerations for electronic poetry, the poetics of computer code, and beyond. This event is sponsored by the GC English Program, CUNY DHI, and GC Digital Initiatives. For more information, please email mckinniburgh@gmail.com. We look forward to seeing you there! To apply and find out more information, visit cuny.is/drbootcamp! 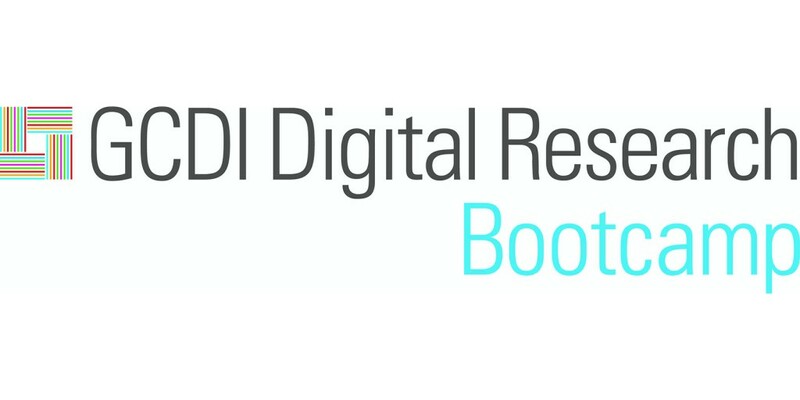 GC Digital Initiatives invites applicants for the inaugural Digital Research Bootcamp, an opportunity to develop digital research skills and connect with like-minded colleagues in an interdisciplinary environment. 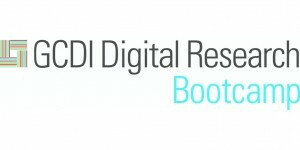 Free of charge to participants, the GC Digital Research Bootcamp has been developed in partnership with Software Carpentry, the New York Public Library, Mozilla Science Lab, Humanities Intensive Learning and Teaching, and the Digital Humanities Summer Institute thanks to the sponsorship of GCDI, The Graduate Center, and The CUNY Strategic Investment Initiatives Program. We are now accepting presentation proposals that highlight ongoing, current, and recent digital humanities work across The City University of New York, and would like to encourage you to consider participating. All disciplines, all research, and all students, faculty, and staff are welcome to attend and present. The event is scheduled for Tuesday, November 10th, 6:30-8:30pm at The Graduate Center. Please plan to speak for no more than five minutes. Groups may present collaboratively or with a representative. Proposals may be submitted through the following form: http://goo.gl/forms/mF6oPcEqfs. Once you have completed the form, we will contact the email address provided with further details. Thank you for your interest in participating, and we look forward to seeing you there. For specific questions, please do not hesitate to contact us at mgold@gc.cuny.edu or mckinniburgh@gmail.com. Sponsored by CUNY DHI and GC Digital Initiatives. Please join CUNY DHI and the Digital Praxis Seminar for a talk by Katina Rogers on Alt-Academic Careers. Please join CUNY DHI and the Digital Praxis Seminar for a talk by Kathleen Fitzpatrick on the future of scholarly communication. Please join us on Thursday May 2, 2013 for our final event of the semester: we are excited to welcome Beth Harris, co-Dean with Steven Zucker of Art and History at the Khan Academy. She and Dr. Zucker are Executive Editors of Smarthistory at Khan Academy, an open educational resource for art history that they co-founded (as smarthistory.org) in 2005. Details are below – we look forward to seeing you there! Co-sponsored by the Master of Arts Program in Liberal Studies, CUNY Graduate Center. The event is free and open to the public; registration is not mandatory. Images may be everywhere, but we are doing very little to educate our students about their history and how to engage images critically. This deficiency is compounded by the fact that open access to digital reproductions of cultural heritage objects in the public domain is still many years away. Museums—the institutions that own many of these works of art and often control the best images—remain committed to print publications, and use the web primarily for marketing. At Smarthistory, we have been trying to fill this void, asking how can we best use the web for art history education. Can we scale (with MOOCs in mind) humanities education? Can we make art history more engaging by making it more conversational and experiential while taking advantage of the proliferation of images and video that can contextualize the work of art? How can art history help other disciplines to use images more responsibly? 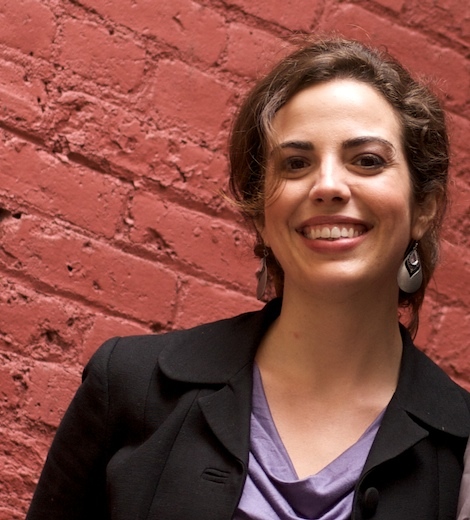 Dr. Beth Harris is co-Dean with Steven Zucker of Art and History at the Khan Academy. Before joining the Khan Academy, she was the first person to hold the position of Director of Digital Learning at The Museum of Modern Art, where she started MoMA Courses Online. 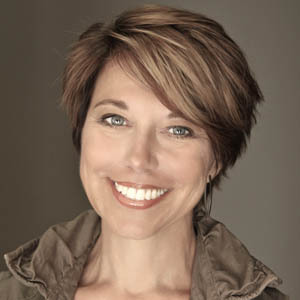 She also co-produced educational videos, websites and apps. Before joining MoMA, Beth was Associate Professor and Director of Distance Learning at the Fashion Institute of Technology where she taught both online and in the classroom. 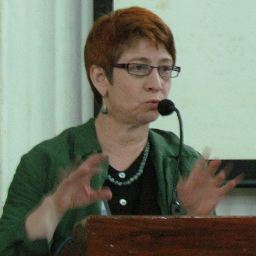 Her scholarly work includes editing and contributing to Famine and Fashion: Needlewomen in the Nineteenth Century (Ashgate, 2005), many book reviews, and “The Slide Library: A Posthumous Assessment in the Service of Our Digital Future,” in Teaching Art History with Technology: Case Studies (2008). She received her Master’s degree from the Courtauld Institute of Art in London, and her Doctorate in Art History from the Graduate Center of the City University of New York. Please join us on Wednesday April 17, 2013 for a special presentation by Arienne M. Dwyer, Visiting Professor of Digital Humanities at CUNY Graduate Center and Professor of Linguistic Anthropology and Co-Director, Institute for Digital Research in the Humanities, University of Kansas. Details are below – we look forward to seeing you there! Clues to the history of diaspora communities and contacts with other peoples and ecosystems are embedded like fossils in the bedrock of language. Historians rarely if ever make use of this kind of historical information, while historical linguists only use it to investigate language, not culture. This talk will use ethnohistorical, linguistic and digital humanities techniques to illustrate how spoken narratives and even conversations can help us understand cultural historical patterns. 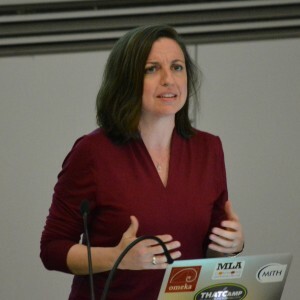 Professor Dwyer is Visiting Professor of Digital Humanities at CUNY Graduate Center and Professor of Linguistic Anthropology and Co-Director, Institute for Digital Research in the Humanities, University of Kansas. She has conducted more than two decades of in situ collaborative research with communities in Inner and Central Asia and China, and publishes extensively on ethnolinguistic contact and change, language endangerment, and language ideology. Her current research is in corpus linguistics, query interfaces, and language contact. She teaches documentary linguistics, language technologies, and digital humanities. On Thursday April 4, 2013 we are honored to host Kari Kraus (University of Maryland) for a discussion of her work with design fiction. Details are below – we look forward to seeing you there! Please register here: http://design_fiction.eventbrite.com/. The event is free and open to the public, registration is not mandatory. The last few years have seen a growing interest in future-oriented and speculative design in areas as diverse as media archaeology, human-computer interaction, and alternate reality game design. The application domains are equally diverse, extending to public policy, entertainment, and commercial product development. In this talk I show and discuss some of the low-tech design fiction experiments my collaborators, students, and I have undertaken since 2010, with an emphasis on methodological mashups that cut across the arts & humanities, the social sciences, and the design disciplines. A larger objective of the talk is to think through what an interdisciplinary research and teaching program in long-term thinking that incorporates technology and humanistic design as critical components might look like. 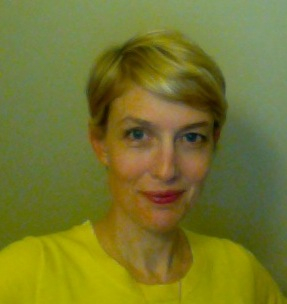 Kari Kraus is an Assistant Professor in the College of Information Studies and the Department of English at the University of Maryland. Her research and teaching interests focus on digital humanities, game studies and transmedia fiction, and digital preservation. She is currently writing a book under contract to the MIT Press on long-term thinking and design. Please join us on Wednesday March 20, 2013 when we will be delighted to welcome Anne Balsamo, Dean of the School of Media Studies and Professor of Media Studies at The New School for Public Engagement, who will discuss her work with the AIDS Memorial Quilt Digital Experience Project. Details are below – we look forward to seeing you there! The Quilt is also an “activist archive” of the late 20th century. The activities that gave rise to the Quilt in 1987 are part of the history of the campaign for gay and lesbian rights in the US. The Quilt literally stitches together a million memories, a million stories, a million lessons about the relationship between individual lives, public culture, and political activism. In its textile form, it is an unwieldy archive. If laid out in its entirety the Quilt would cover more than 1.3 million square feet. It weighs more than 34 tons. This presentation discusses the creation of an interactive memorial that was designed to augment the viewing of the textile Quilt. I will demonstrate three digital experiences: 1) an open-source mobile web application called AIDS QUILT TOUCH; 2) a tangible tabletop interactive that enables viewers to search the database of Quilt images to find a specific image and to browse the archive of Quilt panel images; and 3) a community sourcing application that engages people in analyzing and archiving information about the Quilt. This effort is framed by my recent transmedia book project called Designing Culture: The Technological Imagination At Work. In creating the Quilt Digital Experiences I was interested in exploring the cultural work of public interactives, to examine how they are implicated in practices of cultural reproduction—remembering, witnessing, archiving, and educating. In her recent book, Designing Culture: The Technological Imagination at Work (Duke, 2011), Anne Balsamo offers a manifesto for rethinking the role of culture in the process of technological innovation in the 20th century. Based on her experiences as an educator, new media designer, research scientist and entrepreneur, the book offers a series of lessons about the cultivation of the technological imagination and the cultural and ethical implications of emergent technologies. Dr. Balsamo was recently appointed the Dean of the School of Media Studies at the New School for Public Engagement in New York. Previously she was a full professor at the University of Southern California in the Annenberg School of Communication and the Interactive Media Division of the School of Cinematic Arts. 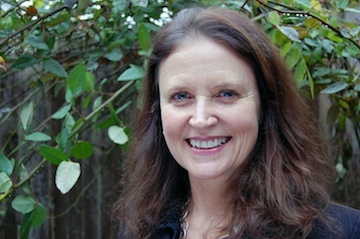 From 2004-2007, she served as the Director of the Institute for Multimedia Literacy at USC where she created one of the first academic programs in multimedia literacy across the curriculum. In 2002, she co-founded Onomy Labs, Inc. a Silicon Valley technology design and fabrication company that builds cultural technologies. From 1999-2002, she was a member of RED (Research on Experimental Documents), a collaborative research-design group at Xerox PARC who created experimental reading devices and new media genres. She served as project manager and new media designer for the development of RED’s interactive museum exhibit, XFR: Experiments in the Future of Reading that toured Science/Technology Museums in the U.S. from 2000-2003. Her earlier book, Technologies of the Gendered Body: Reading Cyborg Women (Duke UP, 1996) investigated the social and cultural implications of emergent bio-technologies. See more about her work at her site, Designing Culture.